It doesn’t happen often but when it does I tend to listen. Another diner – overcome with joy – recommends the dish they have just eaten. It happened at Curly Whiskers, a curious, original and charming little restaurant in the Gardenvale shopping strip. A man leaned over from the next table, dazzled by the scallops in champagne cream he’d just eaten. He implored me to enter shellfish rapture too. Curly Whiskers is that sort of place, set up like a provincial kitchen rather than a restaurant, with the cooking and eating taking place in one room. 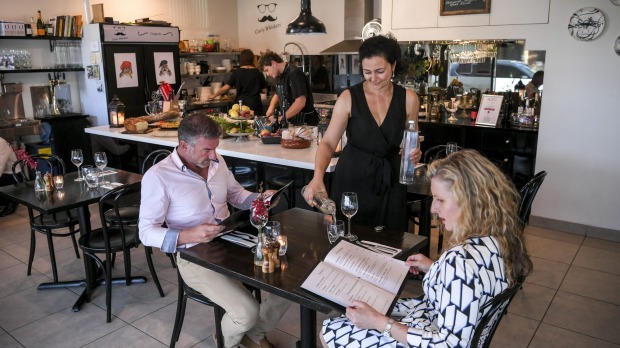 Owners Rosalin and Oliver Virnik​ are your hosts and, with just 26 seats, the feeling is more “welcome to our place” than “you’re on table four”. Chef Silas Orre​, an engaging young Dutchman who now has a stake in the business, moves between a kitchen island forested with produce and the oven behind. The food is classic French (snails, bouillabaisse, coq au vin, et al) with respectful twists. Produce is sourced with proud fussiness and a from-scratch ethic prevails. I started with the scallops and – thanks, fellow diner! 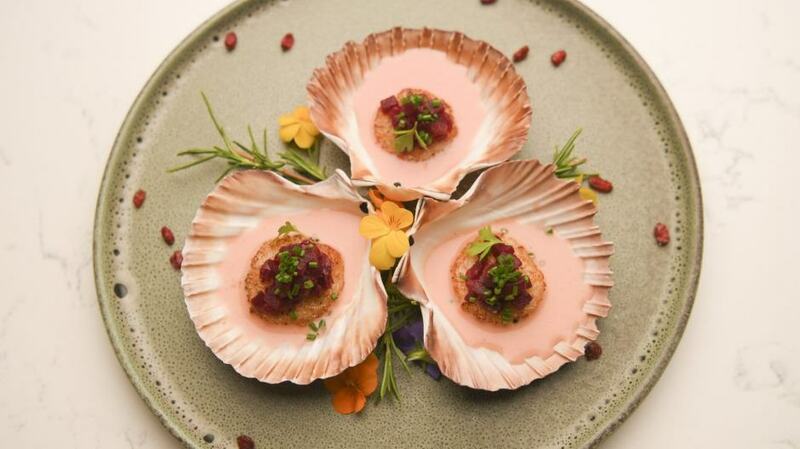 – they were indeed good: flambeed, souped up with a sauce of cream and sparkling wine, dotted with vinegared beetroot. The scallops were sweet and pert but the sauce is the thing. You’ll probably do as I did and slurp every last drop from a shell tipped mouthwards, eyes raised to heaven. Duck, or canard, as they say in Le Brighton, is threaded through the menu. Duck liver was the basis of a classic pâté, dolloped on the plate then topped with brandied caramelised onions. Housemade brioche was on hand, rounding out an excellent entree: the pâté rich and smooth, the bread outrageously buttery. There’s always a canard main course. On my visit it was duck leg, gently confited in duck fat, then roasted until the skin was glossy and crisp, served with a proper red wine sauce, heavily reduced, gleaming and deeply flavoured with duck jus. The accompanying farro was cooked in duck stock too, tying the dish together. 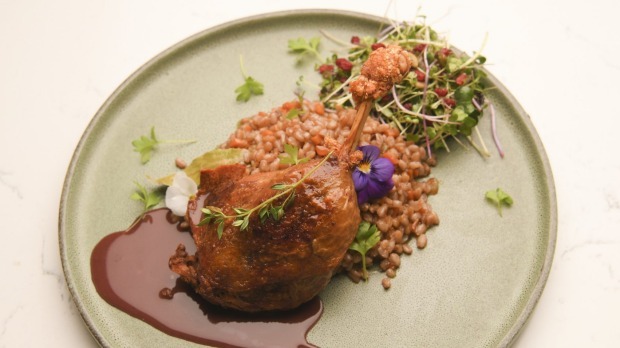 Many thousands of confit duck legs are served every day around the world; this version is better than the vast majority of them. And we’re not done with duck yet! Duck fat is used to roast potatoes to a thrillingly golden and crunchy crisp. Le swoon. Desserts work the French-with-a-twist approach. Orre always has a creme brulee on the menu but it might be flavoured with rosewater and pistachio or fig and pomegranate. Crepes are a specialty and a highlight, made with stoneground flour and free-range eggs and cooked to order to a supple lacy-ness. 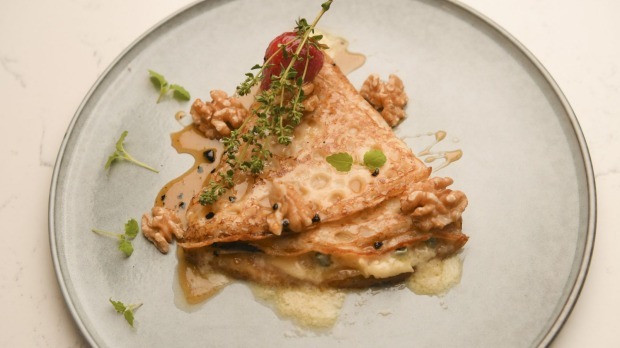 Classics such as chocolate or suzette (brandied orange) are plate-lickingly popular but there are also flight-of-fancy specials like crepes with blue cheese, walnut and truffled honey. Rosalin Virnik backed away from a career in mainstream food production to open Curly Whiskers. Disillusioned with big food’s compromises and penny-pinching squeezes, she and her husband made the gutsy decision to run a restaurant that honours organic, free-range and heirloom produce, and turn it into careful, handmade, heart-touched dishes. Running a small restaurant is not easy but Curly Whiskers has found an unusual balance between welcoming domesticity and fine dining. Hungry guests are the winners. First published in Good Food, 19th February 2019.